We have been looking so forward to our three day weekend. Friday started with a pizza party and Family Movie Night. 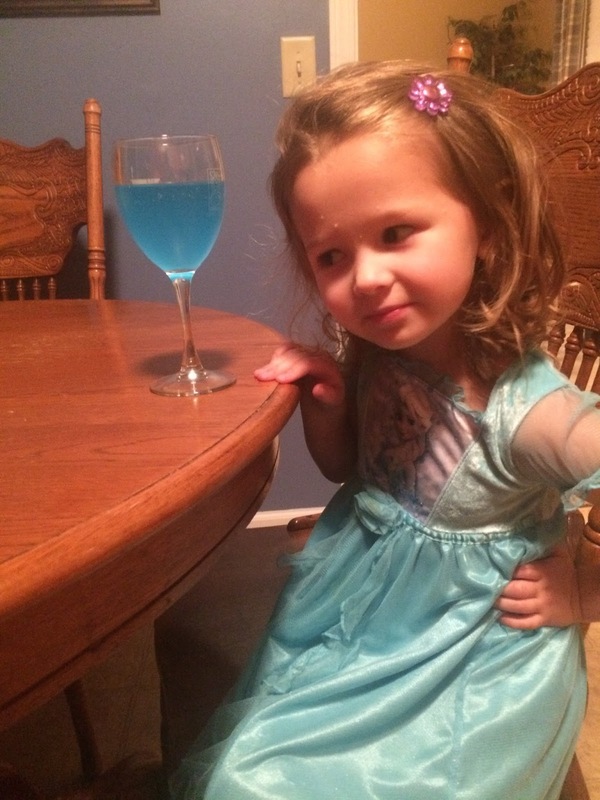 Ellie wanted to drink her juice from a wine glass, so I obliged. Bless her little heart, I think being in the wedding last month and drinking sparkling grape juice, let an impression on her. Eric's parents came to town on Saturday to see Eli play ball, and he was pumped! I was too busy taking video to snapped any photos, but he had a great game and was so proud of himself. Eric's parents stayed in town to play with the kids while I went to a work event, and then we all met for dinner before they had to hit the road. After a quick trip to Wal-Mart to let the kids spend their Christmas money, we headed back home to play and relax. 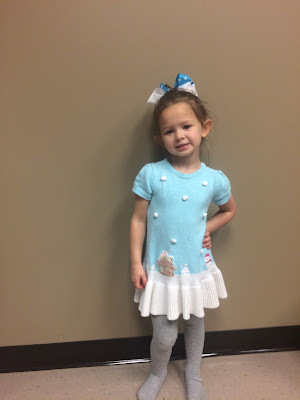 Yesterday was church, and Ellie insisted on wearing her Snowman dress. She doesn't know this yet, but she has three. What can I say? 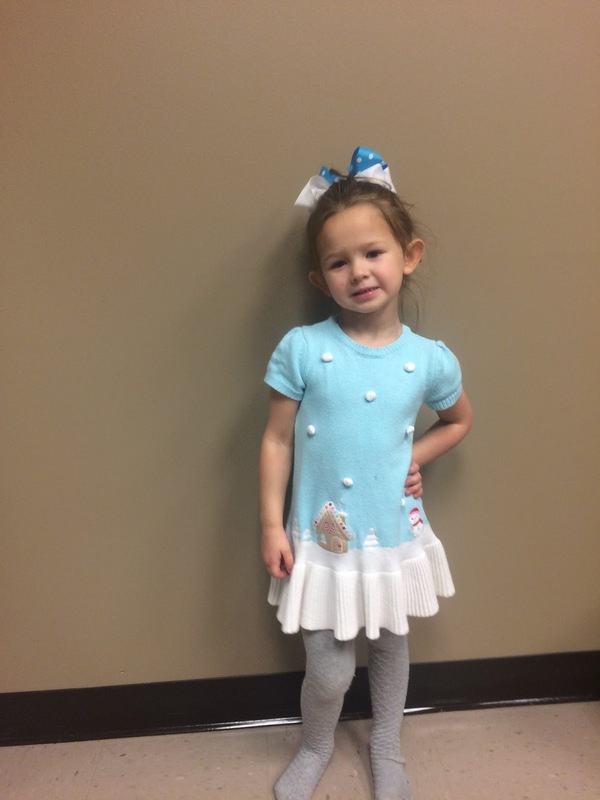 We love festive attire. Eric and I kept the nursery and let Eli stay to play. He was really good with the kids, and didn't he look handsome? He dressed himself, picking out his own clothes. His future wife will love me for this skill. I sent my mother-in-law this picture and told her that she'd be proud of her son because he was the most popular kid in the nursery.